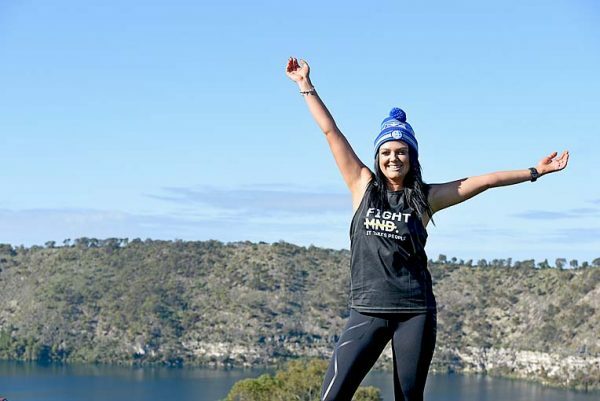 RUNNING FOR ROGER: Mount Gambier’s Tayne Hogan is taking part in this year’s Run Melbourne event to raise funds for FightMND in memory of her father, Roger, who passed away from Motor Neurone Disease in 2010. Starting with a fundraising goal of $1500, Ms Hogan has raised more than 10 times her target and raised her goal to $20,000. TAYNE Hogan was only 13 years old when her father, Roger, was diagnosed with Motor Neurone Disease in 2010. What followed was a traumatic time for her family with Roger dying just three months later.